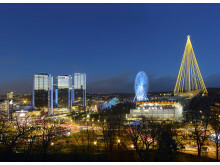 The Swedish Exhibition & Congress Centre & Gothia Towers presents the third phase of its expansion plans up until 2030. In this third phase, focus will be placed on building a larger main entrance with a terrace and a hotel and office complex beside Korsvägen, a central hub in the events district of Gothenburg. 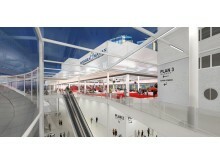 The Swedish Exhibition & Congress Centre breaks visit and sales records for the third consecutive year. 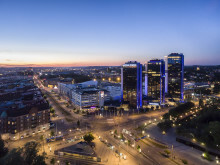 In 2016, the Swedish Exhibition & Congress Centre Group, of which hotel Gothia Towers is a part, increased its total number of visits by 3.5% to almost 1.8 million visits. The Group achieved peak sales of EUR 133 million. INCON, the dynamic partnership of the world’s leading conference, association and event management companies met in Gothenburg 3-6 November for its annual University and Leadership retreat. 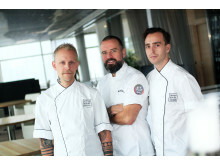 The meeting was organised and hosted by the Swedish Exhibition & Congress Centre with its hotel Gothia Towers as well as Gothenburg & Co.
No less than four chefs from Gothia Towers will be lining up to compete in the Culinary Olympics in Germany on 2226 October. “It’s totally unique! 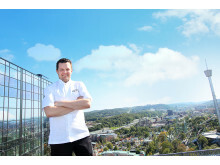 The fact is that we have become something of a breeding ground for promising young chefs,” says Krister Dahl, Director of Concept Development for F&B at Gothia Towers, who will be part of the judging panel at the event. 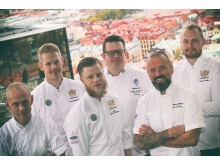 Gothenburg’s Fredrik Andersson – a chef at the city’s Gothia Towers – claimed a highly respectable second place in the final of the Global Chef Challenge on 27 September. The final brought together 20 of the world’s leading chefs for the fifth edition of the competition, which this year was held in the Greek city of Thessaloniki. Gothia Towers’ 5-star sister hotel, Upper House, came out top in two categories at TripAdvisor’s annual Travellers’ Choice Awards 2016. Upper House won the following categories: Sweden’s best luxury hotel and best hotel for service in Sweden! Upper House also came in second place in the category: Best hotel in Sweden. 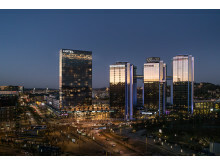 The Swedish Exhibition & Congress Centre and Gothia Towers are the first large Scandinavian venue with congress, hotel and meeting facilities to be certified to ISO 20121:2012, Event Sustainability Management Systems. 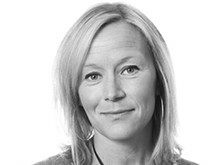 Missa inte vår fisk- & skaldjursbuffé på Imagine, högst upp i vårt 3:e torn, på 29:e våningen, med milsvid utsikt över Göteborg. Den 27 april är det dags - passa på att boka bord. Utvalda datum, 29 april-5 maj och 26-29 maj, kan du bo hos till det eminenta priset 498:-/vuxen & natt (i delat standardrum). 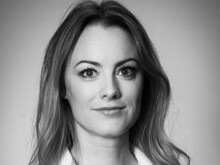 För att ta del av erbjudandet må du boka före den 14 april. 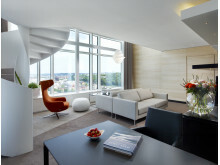 Gothia Towers is a place for meetings and experiences, for people from all around the world. With everything under one roof, you can quickly and easily make your way between the hotel, restaurants, meeting rooms, conference facilities and the exhibition centre.